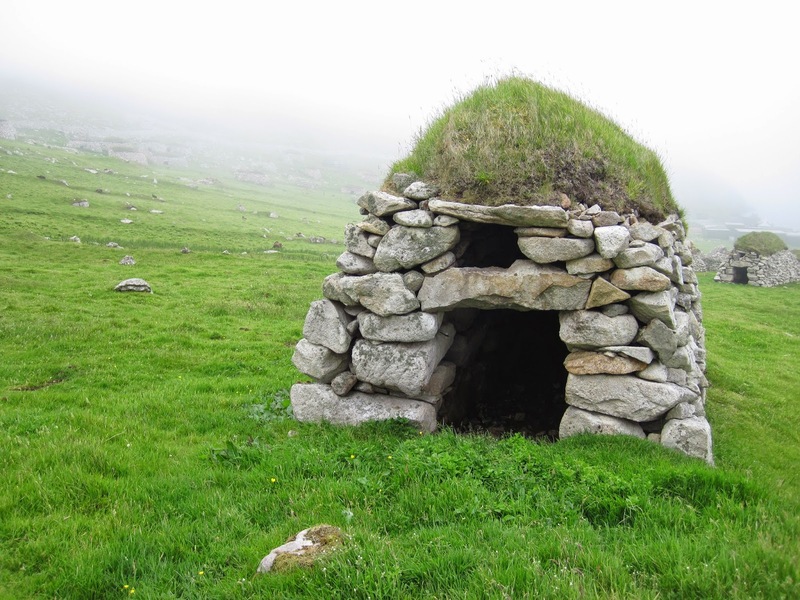 To celebrate the release of the final book in the SeaBEAN trilogy I have a fabulous guest post for you today from Sarah Holding where she talks about her visit to St Kilda, the island where the trilogy takes place. 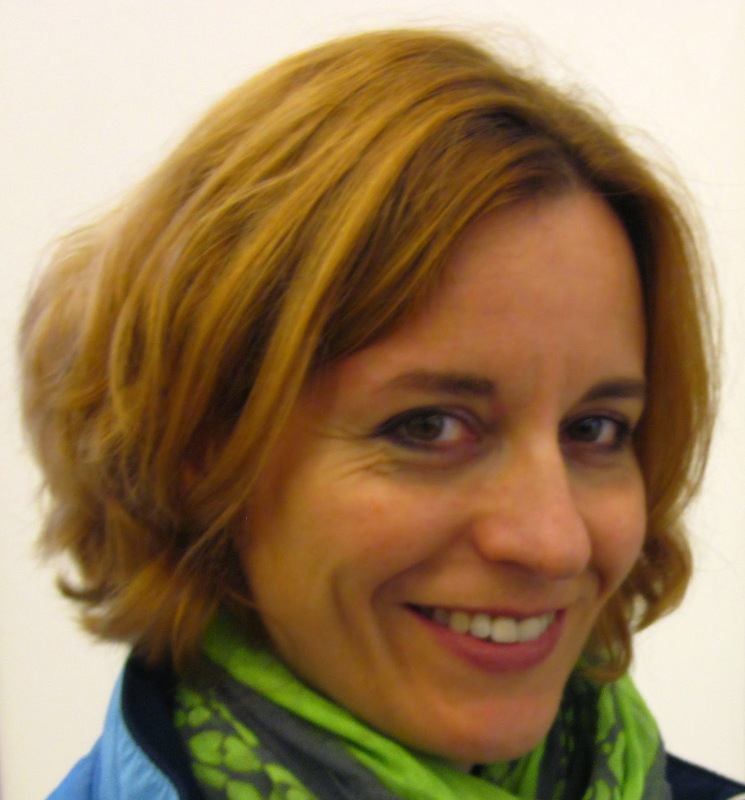 Having worked as a postman, an architect, a university professor and an urban development consultant, Sarah Holding is now a full-time children’s author, juggling writing with looking after a family of three children. They live in Surrey in a funny old house with a leaning tower. When she’s not writing she’s singing, and when she’s not singing she’s playing sax in her jazz band. She says she knew there would always come a time when the abandoned island of St Kilda would feature somewhere in her life, little thinking it would be the setting for her first children’s book. When I decided to set my children’s sci-fi trilogy in the remotest part of the United Kingdom, namely the archipelago of St Kilda in the far northwest of Scotland, it was just an idea and oddly enough, such was the abundance of maps and images of the islands on the internet, in all the time I spent writing the first book, SeaBEAN, perhaps because it’s been uninhabited since 1930, it didn’t occur to me that before long I’d need to visit the place in real life. People have often asked me why I chose St Kilda. As a child I collected stamps and I had a whole page in my album devoted to stamps featuring birds and flowers and animals that came from St Kilda. Back then I imagined it was a tropical palm-fringed sort of place with puffins living there. 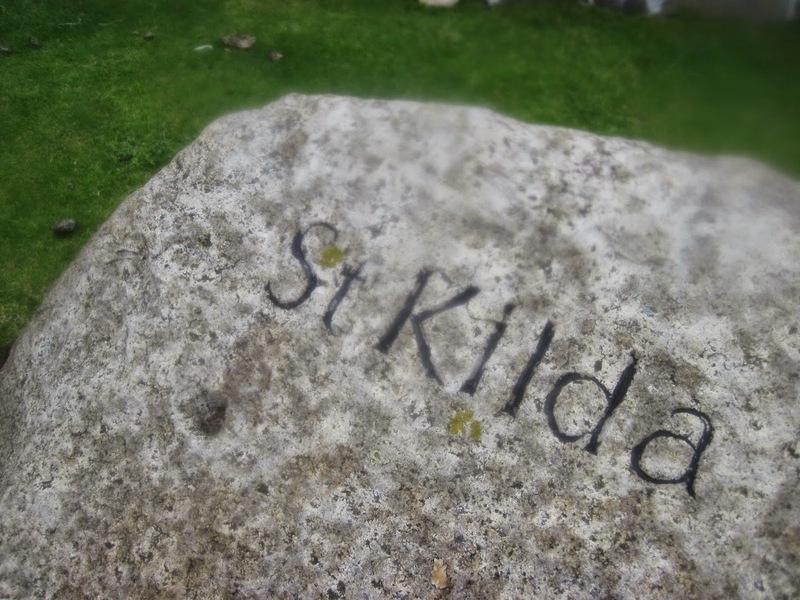 My cousin told me after SeaBEAN came out that in fact our great grandmother’s house in Kingston upon Hull was called St Kilda, which incredibly I could not consciously recall, but St Kilda had obviously lodged somewhere in my subconscious. So it became more and more important to make a trip up there. St Kilda is located in the Atlantic Ocean way beyond the Outer Hebrides. One Thursday in July I took a train up to Glasgow, flew from Glasgow to Stornoway, then drove in a little red hire car south down Lewis and Harris to Leverburgh where the boats to St Kilda depart from. I stayed overnight in a bed and breakfast place. Next morning it was a dry but overcast day when I came down to breakfast. I didn't realise how lucky I was, the owner told me in no uncertain terms, explaining how many of his visitors remained cooped up for days in his house waiting for the weather to be fine enough to make the crossing over to St Kilda. There were thirty-six of us this particular day who’d booked to visit the islands, and we boarded two boats with our rucksacks, binoculars and waterproof gear. Many of the passengers were birdwatchers or naturalists, and I seemed to be the only person whose interests were more literary and historical. St Kilda is managed by the National Trust for Scotland and unless you volunteer to do a fortnight–long stint of conservation work, you can only visit the islands as a daytripper. We would arrive on the main island Hiort at eleven and depart from the whole archipelago again around four. So I knew I’d have my work cut out once I got there: I planned to visit the school, the chapel, the houses, the graveyard, the gun emplacement and the beach, all of which feature in the trilogy. After that, if there was time, I wanted to walk up to the radar station and possibly down into the valley on the opposite side of the island, to see if I could find the Amazon’s House, which is the setting of several important events in the trilogy – it’s where Alice encounters the ghost of the ancient warrior in SeaBEAN, where Alice and Charlie find the injured pilot in SeaWAR and in SeaRISE it’s where they run into an escaped prisoner called Rudy. 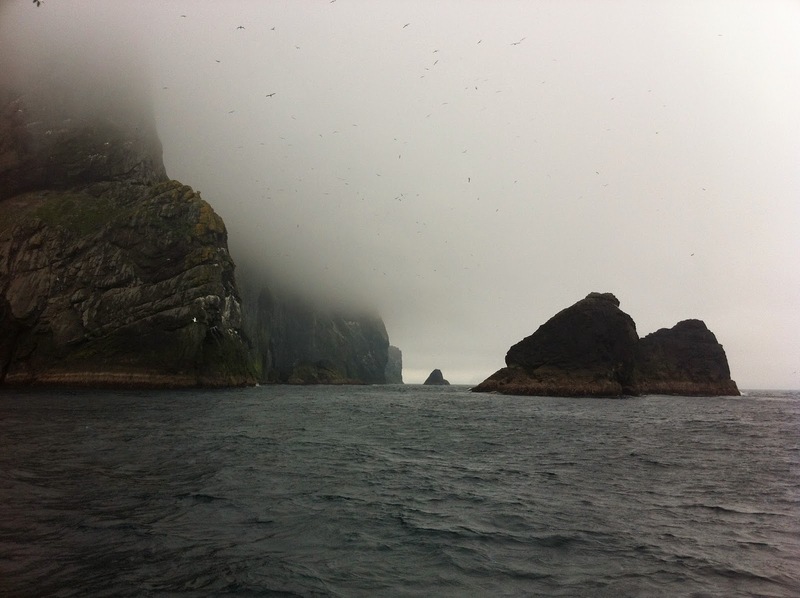 However, in all the practicalities of getting to St Kilda, nothing had prepared me for the magical moment of arrival. As we came round the headland, we left the choppy grey waves behind us and entered the calm aquamarine waters of Village Bay. Up ahead, the island lay cloaked in cloud before us, all secretive and mysterious. Completely entranced from the moment I stepped off the boat, it was as if the whole island had been conjured up from my imagination, or specially built exactly to my designs, like an elaborative CGI or set design. I climbed some way up the hillside above the village and stopped. It was a bizarre feeling to finally be standing somewhere I’d spent the better part of two years writing about. I sat very still and just listened to the silence. After a few minutes I saw something moving out of the corner of my eye. It was my first glimpse of a St Kilda wren that I’d heard so much about. The little bird hopped from rock to rock in front of me, as if it was interviewing me for the job of writing a children’s story set on St Kilda. 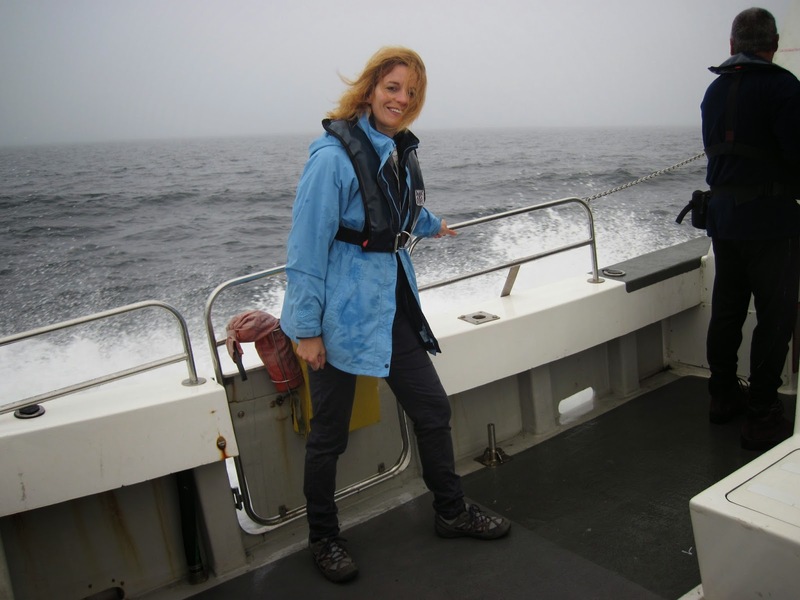 I felt a little daunted, because it suddenly seemed more than a job – it was both a responsibility and an honour to fictionalise this tiny but important place on the edge of the world. As I walked back down the hillside and looked at all the houses people had once lived in, I realised I was more determined than ever to complete the task I’d begun by writing SeaBEAN. I wanted my characters to travel back in time to explore all its history in the second book, SeaWAR, making use of the all the remarkable things about St Kilda’s past, and then with SeaRISE I wanted to complete the trilogy by imagining this same place 100 years into the future, when climate change has done its worst and the unique nature found on the islands is all but destroyed. Then and only then would I feel I had done this place justice: to write a story about how somewhere so beautiful is ruined for ever is the first step towards ensuring that we never allow that to happen. 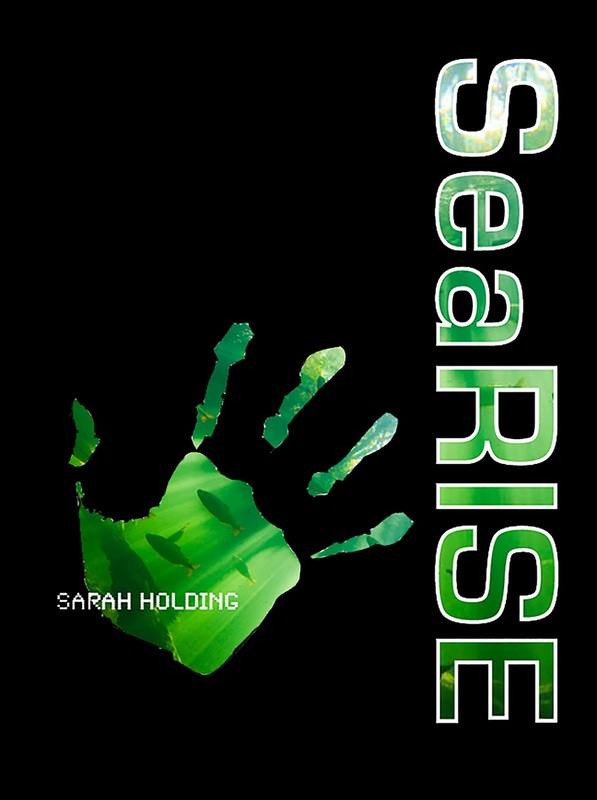 SeaRISE is the final instalment of the SeaBEAN Trilogy by Sarah Holding (Medina). Available online here.